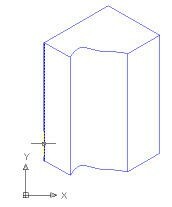 Koyilada Venkata Rao sent in this tip for converting a 3D solid to a 2D drawing. His tip explains how to create a hidden view, but you can create a wireframe as well. It uses the SOLPROF command to create a profile. By transferring the results to another file, you get a solely 2D drawing. Create the 3D model. I worked with one object, but you can work with more than one. Set up the view that you want. Start the UCS command and use the New>View option to set the XY plane parallel to the view. Choose a layout tab. By default, a viewport is created automatically. Otherwise, choose View>Viewports>New View (MVIEW command) and create a viewport. Double-click inside the viewport to switch to model space. You’ll now see two new layers in the Layer Control drop-down list. One starts with PV- and could be PV-ad, PV-125, or any suffix. The other starts with PH- and has the same suffix. The PV layer contains the front parts of the profile (V stands for visible). The PH layer contains the hidden parts (H stands for hidden). Make the PV- layer the current layer. Freeze all other layers. Now you see the hidden view. If you want a wireframe, don’t freeze the PH- layer. Press Ctrl+C and select all objects (which won’t include the frozen layers) to copy the profile to the Windows Clipboard. The new profile may not be the same scale as the original. If not, measure any length in the original drawing. Use the SCALE command and select all the objects. Then use the Reference option. At the prompt to specify the reference length, specify the beginning and end of the length you measured, that is, the same object in the new drawing. At the prompt to specify the new length, enter the length that you measured to scale the model to that new length. Here is the model in the new drawing. Each line (and spline) is a separate object. I have an irregular collection of 3D points and I would like to create a surface from them and the subsequently a solid. 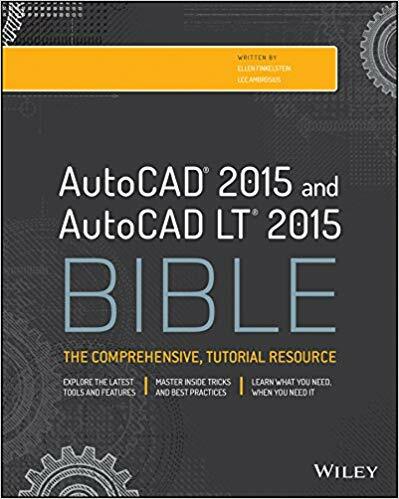 Which version of AutoCAD do you have? i need to know how to make a 2d shape into a 3d shape so it looks like a 3d shape.. The EXTRUDE command is usually the easiest method. Ive made a 3d wire frame model using lines splines etc, how do i indicate my surfaces and shade them in as ive tried everything and cannnot get it to work. 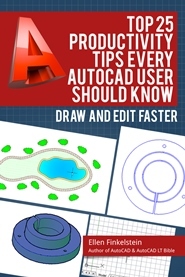 Im using autocad 2006. How do I progress from 3D model to 2D drawing in order to form the starting point for working drawings? Ellen thanks for those great tips and tutorials. I need to make perspective and axonometric 2d drawings out of a 3d model. Because of you, i’ve just discoverd FLATSHOT, which is a great help. Moreover, it would be sweet if i could somehow keep layering in new block just flatshooted (because i’ll need to change thickness before plotting). Is there any way of doing so? If i select “color by layer” it isn’t changing colors from output layer. I’m not sure what you mean, but have you looked into SOLVIEW, SOLDRAW & SOLPROF? They might give you more control over layers. Thanks, It was very good lesson and very useful for me. Just a note that this tutorial is in Urdu – scroll down to the 2nd one. AUTO CAD DISPLAY HOW CHANGE TO 3D VIEW TO 2D VIEW. HOW TO CREATE A VIEW(2D OR SIDE VIEW OR TOP VIEW) DIRECTLY FROM 3D OBJECT. Hi Ellen, thank you for your toturial. Dear Mrs ELLEN FINKELSTAEN. I can’t speak English very good, but so-so yes. and therefore i ask you excuse me, my mistakes. and I as a shop-assistant. After it, we will be able to do some Ukrainian Centre of YOUR BUSINESS. I understand YOUR suggest for PowerPoint, which is as an instrument for translate YOUR lectures. My congratulation to YOU – 2017 year. I have read many blogs on this website. These are great source of information. Keep sharing such informative blogs. My name is Sergio Gumer, from Brazil, and I work AUTOCAD since 2005. I saw many way to construction 3d objects but, sometime, you supposed to be necessary other ways to build your projects.